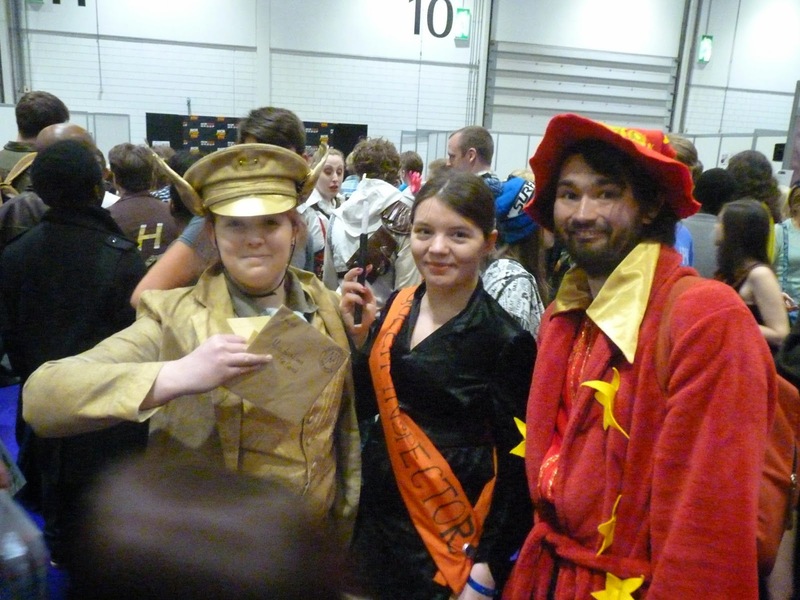 I went to the MCM Comic Con this year. Haven't been to one in ages. Was fun! I wasn't very good at taking photos, mainly because I just kind of ran up, asked if I could take a picture, then took the photo while I was still moving slightly, before speeding away embarrassedly. I cosplayed! I've never cosplayed before. 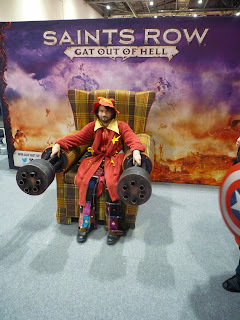 I stuck some stars to a dressing gown and made myself a Rincewind hat! With sewing! 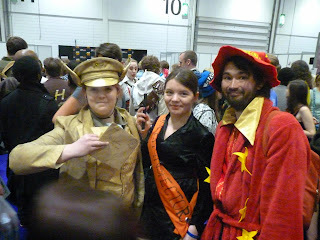 I was obsessed with Discworld books growing up and Rincewind was always my favourite character. I'd like to give him a hug and tell him that bit of magic he did to open that door in The Light Fantastic was completely awesome. 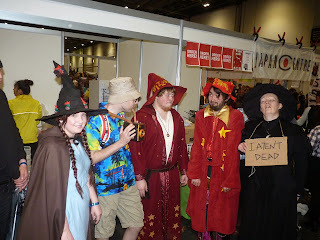 It also gave me an excuse to be bad at costume making, although it would have been nice if I'd made the word "WIZZARD" a bit smaller and closer together. And maybe if I'd dabbed it with black paint a little, I always got the impression Rincewind made that bit himself after a long and probably very drunken night full of especially big personal embarrassments. In general it was a fun day mostly consisting of people in funny costumes trying not to fall over while people at stalls hoped they'd actually buy something.